With all the different options banks now offer, setting up a bank account can be a confusing thing. But if you want to protect your money it’s important to keep it in a bank so it won’t be stolen. Having a bank account also helps you save money and avoid carrying all your money around with you all the time. You can even make a little money by keeping your money in the bank! Here are some questions you might have about banking and some tips to make the process a little easier. 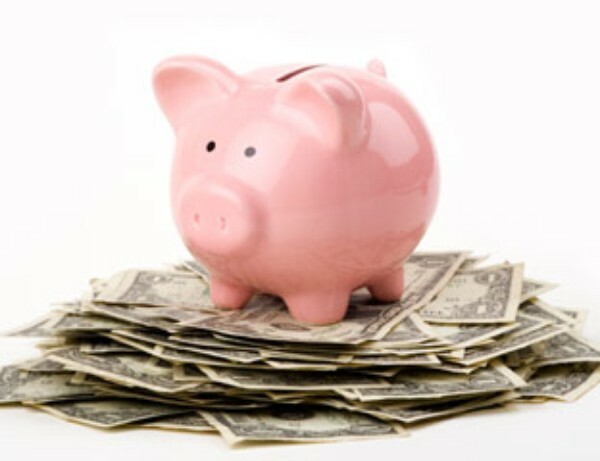 A savings account is an account that allows you to store your money and gain interest on it. Interest means that the bank pays you to keep your money in their bank. Another kind of savings account is a high-interest savings account. This kind of account gives you a higher rate of interest. However, it requires you to have a higher minimum balance, which means you have to have more money in your account at all times. A checking account is different from a savings account because it doesn’t pay interest on your money. If you have a checking account, you can withdraw money from an ATM (see below for how to use an ATM). You can also write checks. You can also link your savings and checking accounts. To do this, you open a checking account and a savings account and link them together. This way, you can keep most of your money in your savings account where it will gain interest. Then you can keep the money you need for everyday spending in your checking account so you have access to it. You can always transfer money from your savings to your checking account, but keep in mind that there is often a fee to do so. You also have the option of setting up a joint account. This is what married couples usually do. It means that you both have equal access to the money in the account. How do I know which kind of account I want? A savings account is the best option if you’re saving money for something long-term because of the interest the bank pays you for having this kind of account. The more money you have in your account, the more interest they pay you. This makes a savings account a good option if you’re planning to leave the money in the bank for a long time because the longer it stays there, the more money will accumulate. If you want to use the money in the bank for day-to-day purchases, you should get a checking account. This is more convenient than a savings account because of the access it gives you to ATMs and checks. However, make sure that you’re careful about writing checks. Whenever you write one, make sure you have enough money in your account. If there isn’t, the check will bounce. This means that the bank will be notified and will charge you a large fee. You also will be penalized at the store where you wrote your bounced check. A joint account is only a good idea if you’re in a stable marriage, because both people have access to all the money in the account. It’s a smart thing for a married couple to have in case there is an emergency or one person dies because then the other person doesn’t have to worry about access to money. First, decide whether you want to open a checking account or a savings account. Then pick a bank. If you’re opening a checking account, make sure that the bank you choose has ATM locations near you. If you’re opening a savings account, find out what interest rate the bank offers. No matter which type of account you’re opening, you should compare the fees each bank charges to transfer money between accounts, use ATMs, or just to keep your money in the bank. You should also make sure that your bank is FDIC insured. This means that any money you deposit is insured up to $100,000. Once you have chosen a bank, go to their location near you and fill out the forms to open an account. You’ll also need to give them money to put in the account. Some banks require a minimum amount of money to do this. Make sure you have enough money before you go to the bank. Don’t forget to bring identification with you. You’ll need proof that you’re over 18 years old. You’ll also need to prove your address and identity. Most banks will ask for a driver’s license or Social Security number, but if you don’t have those things usually a passport will do. ATM stands for Automatic Teller Machine, because it does the same job as a bank teller. If you have a checking account, you can use an ATM instead of going into the bank and working with the teller. This can be a much quicker and more convenient way to do your banking. Using an ATM is simple. All you need is your ATM card, which the bank will give you when you set up your account. They’ll also tell you to choose a 4-digit PIN (personal identification number). This should be a number that has some meaning to you so that you won’t forget it. It’s important that you remember your pin number because you need it to use the ATM. Never give your pin number to anyone! Your pin number is a direct link to the money in your bank account. Therefore whoever knows your pin can empty your bank account very easily. For security reasons, you never even write down your pin number unless you are planning on shredding the document. Using an ATM you can check your balance, or how much money you have in your account. You can also use it to deposit or withdraw money. To deposit money, insert your card into the machine and type in your PIN when it asks you to. Then select “deposit” and insert your money into the machine. Some ATMs require you to put your money in a deposit envelope before inserting it into the machine. Others allow you to put the money directly into the machine. To withdraw money, insert your card and type in your PIN when it asks you to. Then select “withdrawal” and select how much money you want to take out. When you’re finished, don’t forget to take your card, your receipt, and your cash. *Lots of banks charge you a fee if you use another banks ATM to deposit or withdraw money. When you’re choosing a bank, make sure you pick one with ATM locations near you. This way, you don’t have to pay this fee. WARNING: ATMs are common sites of robbery. Always be aware of your surroundings when using an ATM. Immediately put any withdrawn or deposited money in a secure place, and make sure no one is following you after you use the ATM. There is often a painted line that people must stand behind while others are using the ATM. However, you should still take great caution to conceal your pin number and the amount of money you are taking out.